With 45 sqm completely new and comfortably furnished apartment in. 1 Floor of our house. The stylish furniture in the living area can immediately promote comfort. Spacious living room with a dining area at the large window. The view over open fields provides at breakfast holiday atmosphere. Satellite flat screen television with radio reception, VCR, radio with CD player. Bedroom with double bed and clock radio, large wardrobe with full length mirror. Fitted in wide kitchen, stove with 4 burners and oven, extractor hood, refrigerator, small freezer, microwave, coffee maker, kettle, toaster and various other items and tableware. Laundromat and dryer in common use. 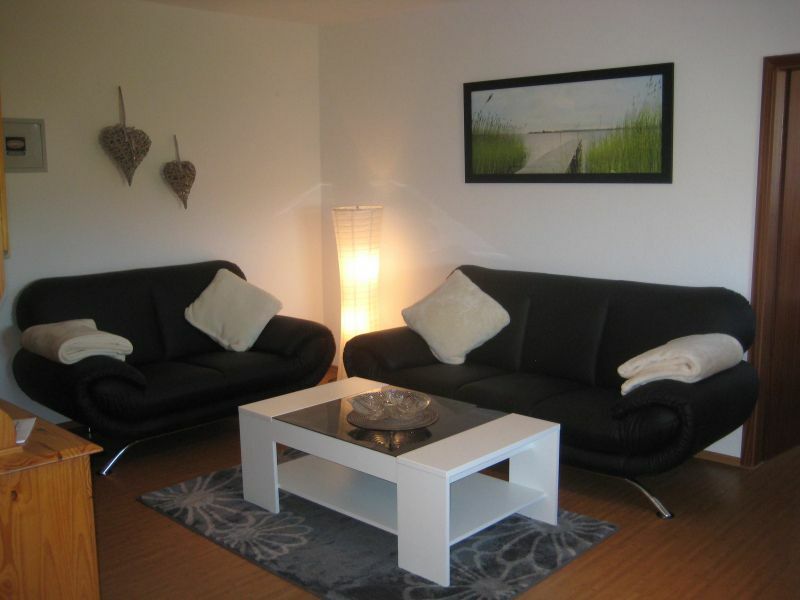 House in an idyllic and very quiet location within sight of the North Sea dike. Whether great view from the rooftop terrace and cozy place on the encircled by trees green spaces - here you relax, move freely from the big city stress. In our six apartments we offer contemporary comfort. Parking spaces on the property. For bicycles there is a locked shed. Your pet is welcome. The house and private garden area already inhabited by a playful Bernese Mountain. For general use there are also: fitness equipment storage room, table tennis and badminton games. Warwerort is a quiet little place only 3 KM away from the lively Büsum. there Sprawling fields and green dykes with beach here is in close proximity to the nature reserve Speicherkoog.